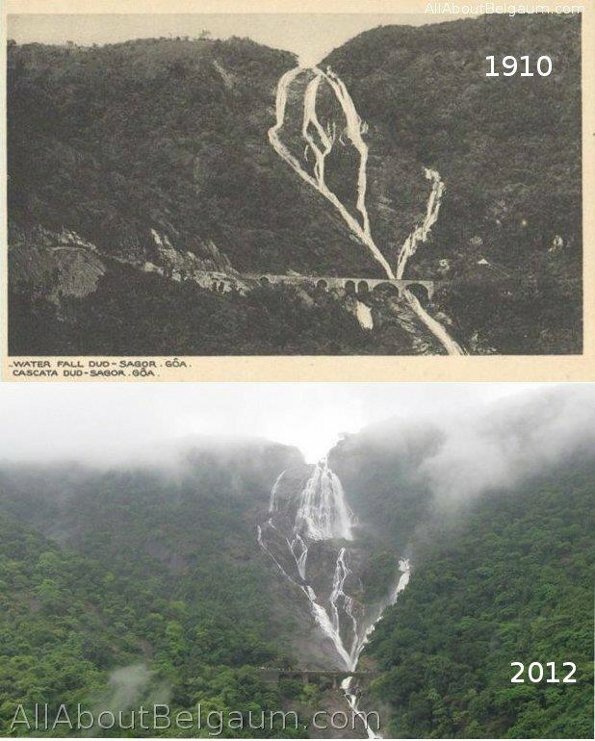 The DudhSagar waterfalls in 1910 and 2012. The 1910 photo was sent by mail to us anonymously. So we dont know who has clicked it. Was there on 22nd July, sunday.. It was wonderful !